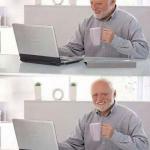 Hide the Pain Harold is getting some of Brain's luck. 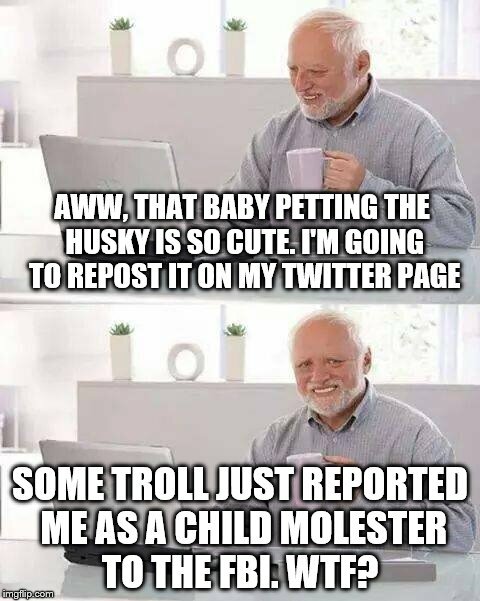 AWW, THAT BABY PETTING THE HUSKY IS SO CUTE. I'M GOING TO REPOST IT ON MY TWITTER PAGE; SOME TROLL JUST REPORTED ME AS A CHILD MOLESTER TO THE FBI. WTF?